Saphira Klearman is a 15-year-old sophomore at BMHS. She strongly believes in equity, youth involvement, saving the environment, and is a strong supporter of the MeToo movement and LGBTQ+ rights. She’s an award-winning student journalist and her biggest goal is to create a positive impact on the world. She loves learning, Disney, Marvel, and really angsty punk music. She’s an active member in Youth Leaders Council, the Youth Partnership for Health through the CDPHE, and Colorado Youth Council. 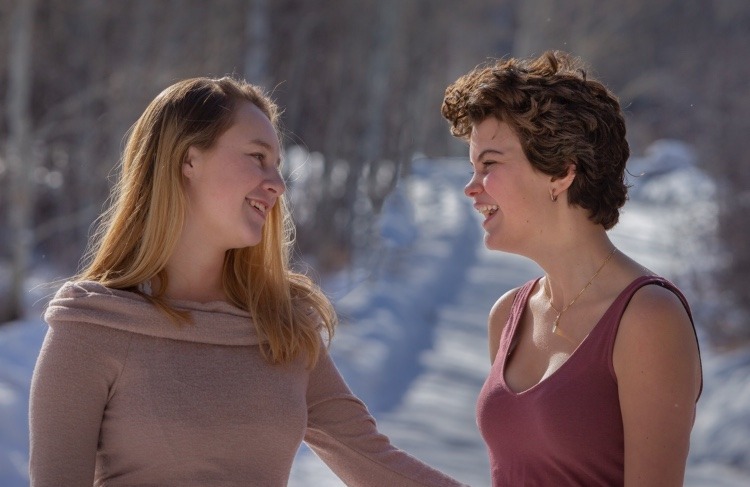 She created the I Don’t Idle Campaign and founded and currently co-presidents Project We Care Colorado, a completely teen-led organization set on decreasing stigma, educating and advocating for mental health and for the eventual recovery for other teens with mental illness. Remember that you’re never truly alone, your life is worth living, and even if everything seems dark right now, there’s a light at the end of the tunnel. Stay strong. Tenley Burwell is a 16 year old girl at Eagle Valley High School. She believes that people should be loved and everyone should be treated fairly. She is a woman that is bold and very courageous. Alongside passionate friends she is part of a teen lead organization called Project We Care Colorado. This has opened her eyes to the stigma surrounding suicide and the help that people truly need. She strives to help people with mental illness and help them find the right care. Through experiencing tough times of her own she knows how important it is to let people know that they aren’t alone. We all have things that get us down. We all have demons believe it or not. It is just a matter of if you want to get the help that’s needed. Remember you are loved. A unique insight into mental health and sexual assault through slam poetry. Saphira and Tenley work to break stigma, share their personal stories, and offer support to everyone who’s suffering. They are dedicated to making the world a better and happier place, one person at a time. Please know that if you’re in a bad place right now, you are worth pushing through the pain, you are not alone.